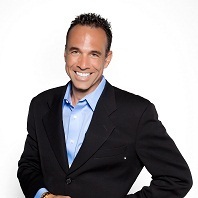 Michael Poggi is a nationally recognized public speaker and professional investor, developer and author with nearly two decades of experience. Michael speaks on how to buy Real Estate in your IRA or old 401 k plan. He teaches people how to make their IRA self directed in the true sense so you can use it for real estate. He teaches people how to make their IRA cash flow monthly tax free using real estate. In addition Michael is also the president and founder of The Millionaires Investment Group, based in Ft. Lauderdale, Florida. It is the largest commercial real estate group in the state of Florida, meeting on a monthly basis to network and partner on real estate ventures of all sizes. Michael’s company specializes in many aspects of commercial real estate, vacant land, development projects, and foreclosed properties. The group also attracts top notch speakers from all around the country who are featured monthly to provide additional education to the group. Michael is often a featured guest on the Money Talk radio shows. His company, Build Wealth with Land, LLC. is one of the largest land providers in the U.S., providing hundreds of vacant lots yearly to investors and builders. Michael has bought and sold over 435 vacant lots and bank owned houses in the last 10 years tax free. Michael speaks about both of the topics below. HOW TO BUILD WEALTH TAX FREE AND CREATE MONTHLY CASH FLOW FROM REAL-ESTATE. HOW TO BUY BANK OWNED PROPERTIES FOR PENNIES ON THE DOLLAR.